Beautiful Custom Size Framed Mirrors for your Home or Office! Great ways to Shop with us! THREE REASONS TO ORDER OUR FRAMED MIRRORS! Why Order a Custom Mirror? Cheap quality pre-made framed mirrors are a dime a dozen. However, at Texas Custom Mirrors we custom build our mirrors. Each order is made only for you. What if you could order a frame style you love and the exact size you desire? We make wall mirrors and floor mirrors in the Exact Size you need. 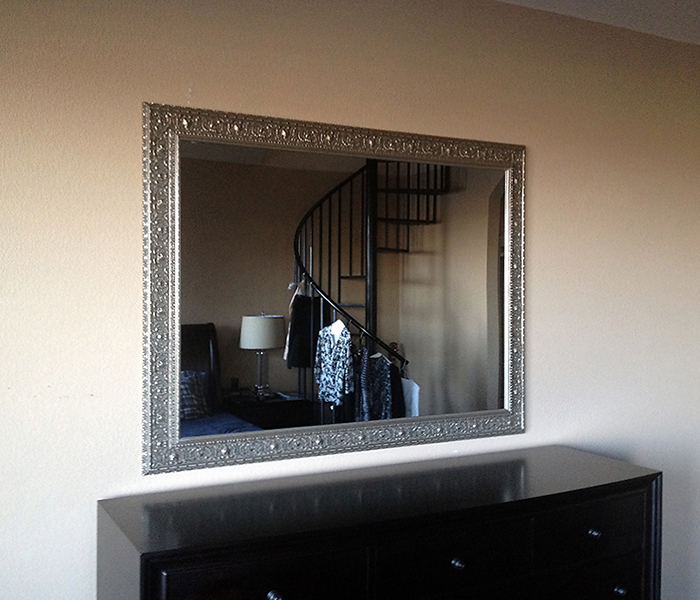 We create the Perfect Customized Framed mirror for your home or office. Feel free to call for questions. How do your prices compare to retail custom stores? 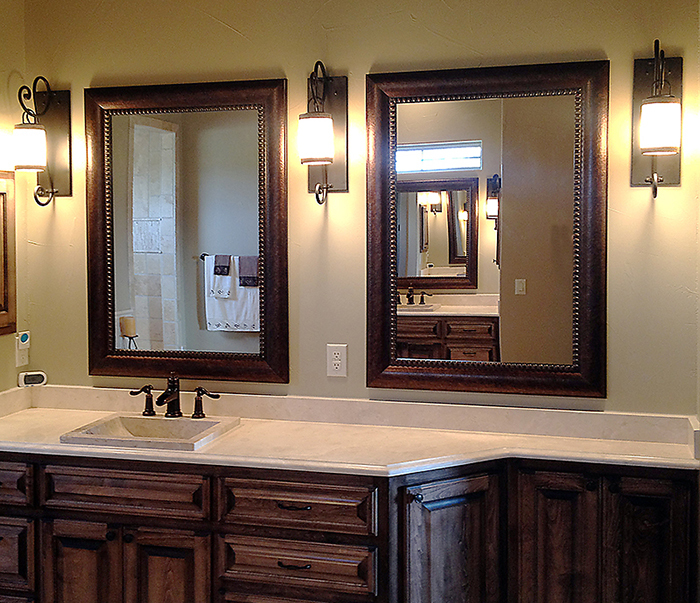 We also have great prices on delivery and installation of mirrors in Texas. We deliver up to five mirrors for one low price. We think we offer great value for our products that add beauty to your decor for years. We are an American Company located in Texas. 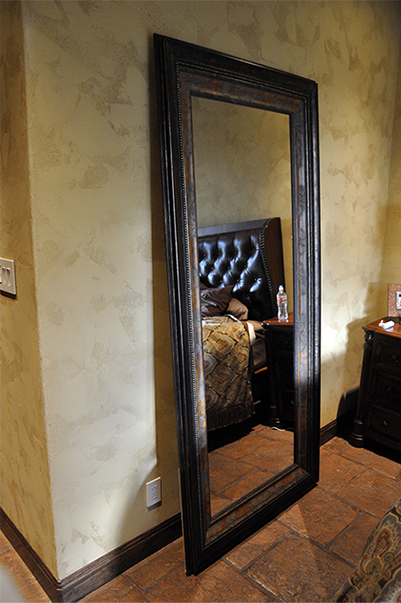 All framed mirrors are manufactured in San Antonio and com with full warranty. 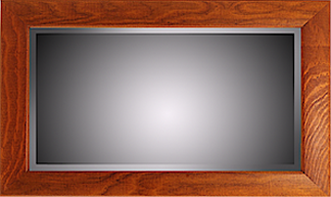 We use high quality wood frames and beautiful polished glass. 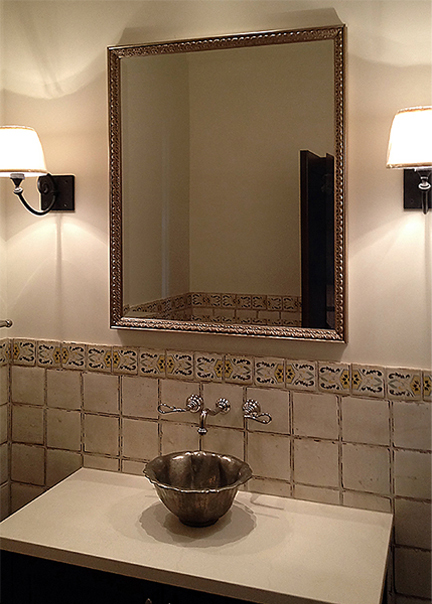 We design floor mirrors with special reinforced corners. They are built to last! WE BUILD BATHROOM, FLOOR AND WALL MIRRORS! 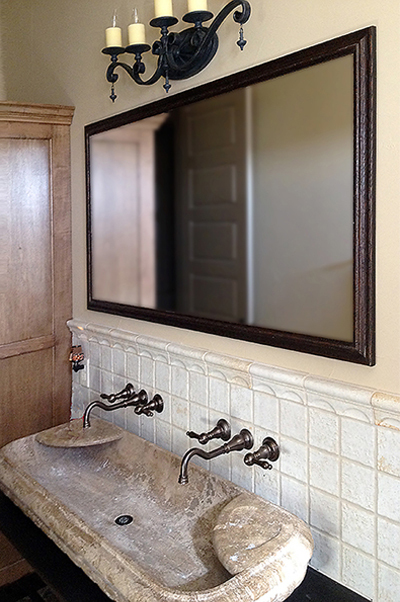 We build matching bathroom mirrors in the custom size and style you need? 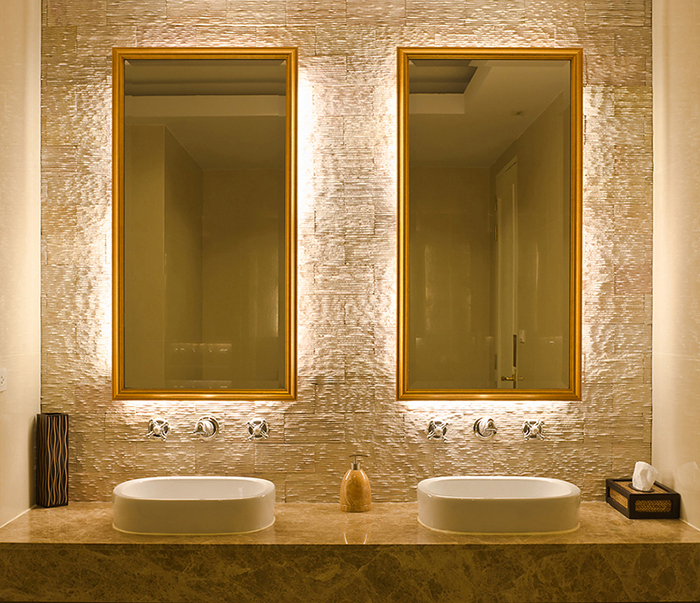 Order the perfect bathroom mirror and know that you will receive a great quality product. We have a variety of styles and colors in our frames. We ship nationwide but offer special pricing in Texas. Do you need installation services? 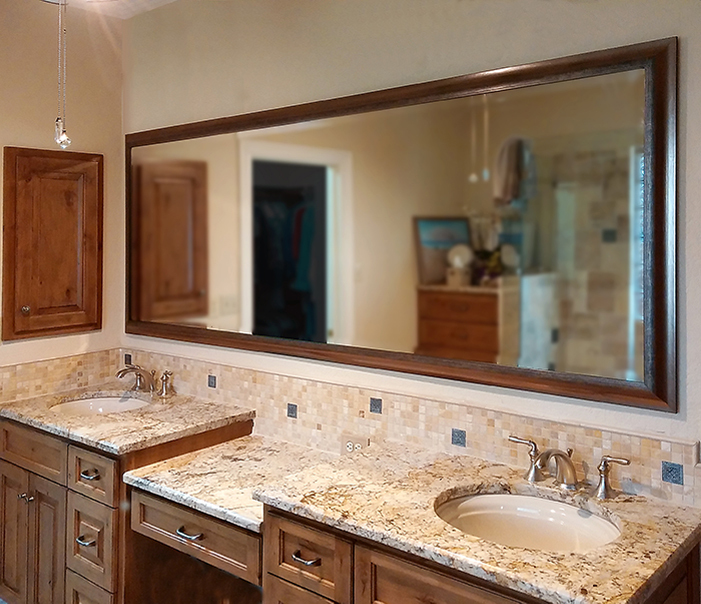 We have pro installers to place the mirror exactly where you need. 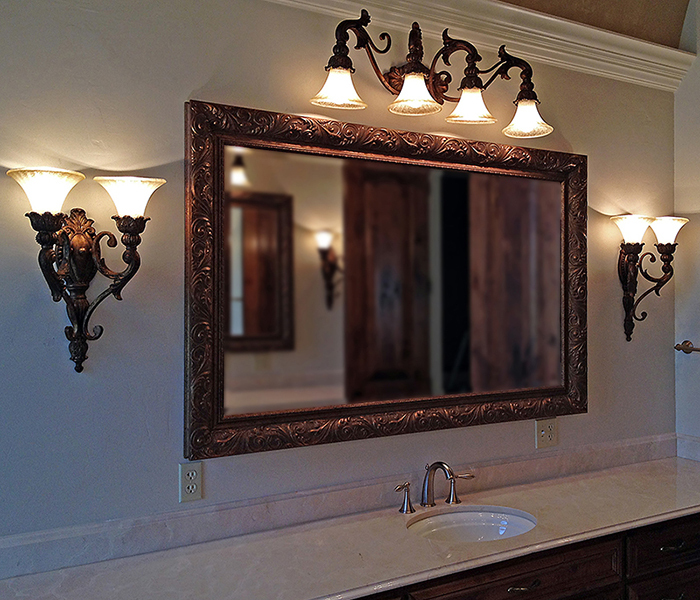 Texas Custom Mirrors builds the most beautiful floor mirrors to custom sizes and with your selected frame style. We use special reinforcements on our frame corners. This makes them stronger for standing on the floor. 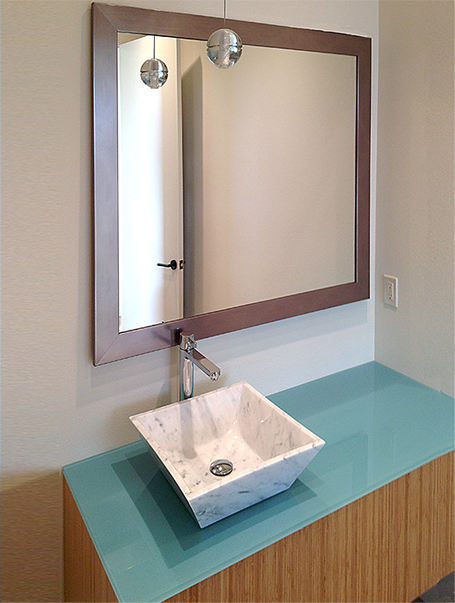 Our custom floor mirrors are made to lean against a wall. 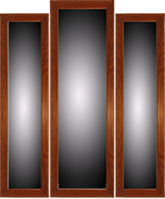 You can select your frame and your beautiful mirror is shipped within 7 to 10 business days. We offer beautiful framed wall mirrors for dinning rooms, bars and living areas. 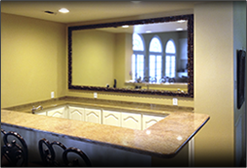 Do you need a matching mirror to install over a bar, or kitchen counter. We have many frames to compliment your granite or wood. Then we build to the perfect size. In living areas we offer frames that can match your furniture. Beautiful natural wood frames are our most popular for living rooms and dinning areas. TESTIMONIALS AND ADDITIONAL FACTS ! Do you have a large commercial project? We offer discounts for large orders. Commercial builders of hotels and condos, restaurants and apartment projects we can give substantial discounts on framed and unframed mirrors. We also offer delivery and installation for large projects. Our company have completed installation for large projects of over 400 custom mirrors. We can read blueprints and are expert installers. We offer delivery to any place in the Continental United States. Please contact us for your next commercial project. Glass Wall Mirrors for Gyms and more ! We offer commercial installation and residential of wall glass in all Texas Cities. Do you need a home or workout center that needs installed glass? Our wall installations are excellent and you can order with safety glass. Don't trust your glass mirror installations to just anyone! Call for pricing! We build oversized custom mirrors. 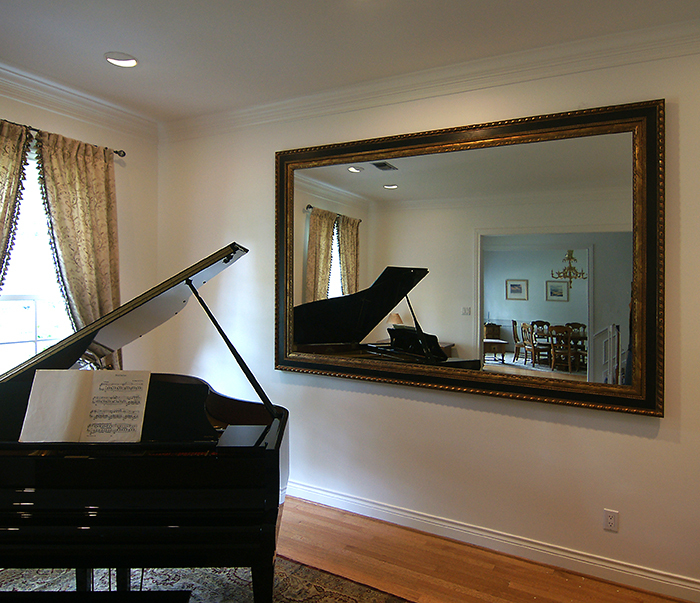 Our large framed mirrors can be built up to 110" x 70" inches depending on the frame selection. They can generally be made in about two weeks. Please call about a quote on shipping prices as they are not standard. We can also deliver and install in your home or office. They are very heavy and need unique installation to insure they are secure. Who are we? 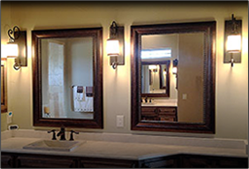 Texas Custom Mirrors is a San Antonio,Texas Company. All manufacturing is in San Antonio, USA. Although we ship nationwide, in Texas we offer special shipping and installation services in central and east Texas. We started in 1985 under a different name but have been in business for 30 years and built thousands of beautiful mirrors to many satisfied customers. What a pleasure ordering from Texas Custom Mirrors, not only did I receive my mirror on time, they did a fantastic job of installation. We measured our space a little tight above the bathroom counter but they took time to make it fit. When finished, they looked fantastic. We went to many box stores looking and even furniture stores, and after shopping all day we found nothing in the size we needed. At home at night we found your web site. It was so easy to find the styles and size we needed.